Last night many students were busy making Crazy Ziti at our latest Cooking for a Cause event. Things got a little sticky and messy, but it was all worth it because all the meals made are going to the needy. These meals are going to be stocking the Sephardic Bikur Holim freezer. Thank you to master chef, Mrs. Mickey Horvits for sharing your recipe and expertise. Thanks to coordinators Esther Haddad, Florence Dweck, Susie Sasson, and Katie Fishel for organizing this event. Class 1-V was the winning class of the annual Chesed Race for Chesed Mission. After raising over $6,000, they earned a day trip to Manhattan as a reward. 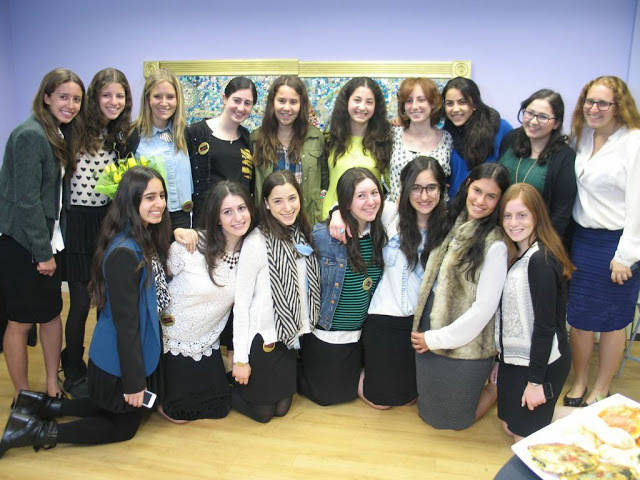 Before heading to the city, they made a Chesed stop at the Haym Solomon home. 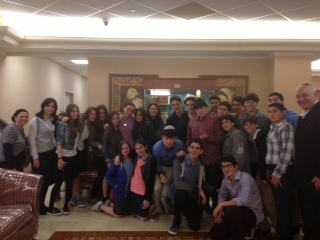 The students laughed and sang with the residents; their visit was a great Kiddush Hashem. Special thanks to Rabbi Ezra Hanon and his daughter Minna Samra for organizing the trip and for joining us. The people at the home were very grateful for our visit, but we were grateful to them for giving us the zechut to spend time with them. 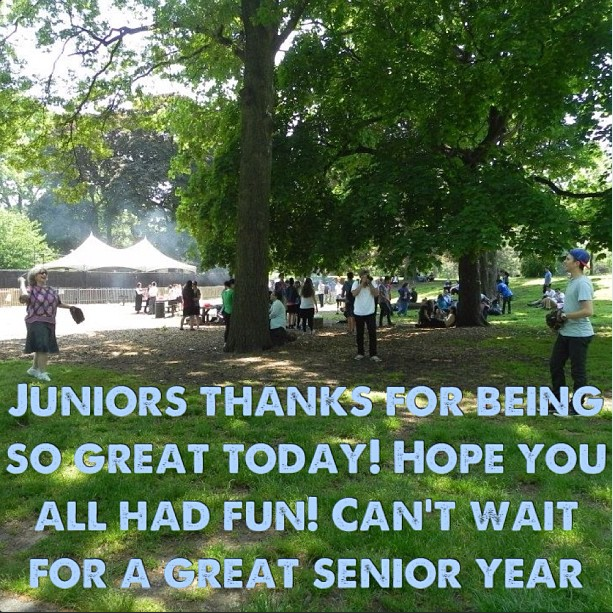 The Tzedakah Commission organized one last event to end off the year, a Hunt for Chesed scavenger hunt on Wednesday May 22nd. Students started off by participating in Cooking for a Cause, preparing meals for the needy; from there, 10 teams began the hunt. Each team received the same sheet of all different kinds of clues and trivia questions to complete within a set time. The clues ranged from getting a grandma slice from Pizza Time, to locating a 16-Handles’ spoon, to even finding Waldo. Yeshivah of Flatbush Joel Braverman High School held its annual Archon Induction Exercises today to honor students who have dedicated their time and effort to our school and community. We were honored to have Israeli Chief Rabbi Rav Shlomo Amar join us and address our students and guests. During the program, select students were recognized for their exemplary service to the school and were specially awarded. Emily Shrem received the highest honor by receiving the Rabbi David Eliach Award for Distinguished School Service. Tomer Kornfeld received an award for his commitment to Israel Activism, Frieda Shalam received the Donna Becker Memorial Award for Peer Tutoring, and Jamie Baum received a special award for her dedication to helping her fellow students academically. Mrs. Betty Fallas was also recognized for her commitment and dedication to our administration, faculty, and students. Flatbush students always go above the call of duty to help their fellow students and their communities. The Archon Exercises are a great way to recognize and honor our students. A group of girls with an interest in fashion received an amazing opportunity from our Pathfinders Program to volunteer at the Safra Community Center Annual Fashion Show held at the Plaza Hotel in NYC. 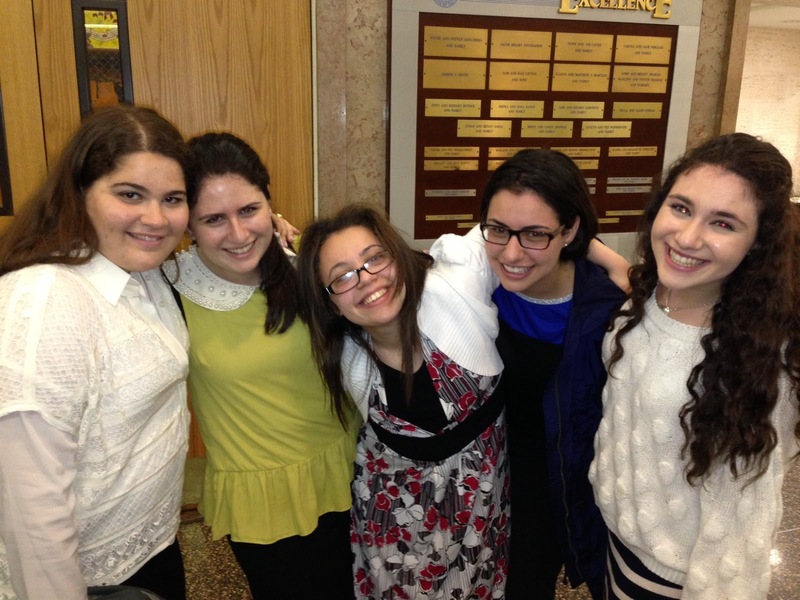 Flatbush Students Excel At Year-End WordWright Challenge! A team of students representing the Yeshivah of Flatbush recently won highest honors in the year-end standings of this year’s WordWright Challenge, a national competition for high school students requiring close reading and analysis of many different kinds of prose and poetry. Participating with 582 high school teams from all across the country, the school’s ninth graders placed sixth in the nation in the cumulative standings at the end of the four meets held this year. The school’s eleventh graders placed second in the nation in the year’s final meet. Two of the school’s students won highest honors for year-long individual achievement as well: Freshmen Dylan Sutton was the third highest-scoring ninth grader in the entire country in the year-end cumulative standings, while junior Andrew Hersh tied for sixth place among all participating eleventh graders. Students who excelled in the year’s final meet, held in April, included freshmen Chiya Abramowitz, Esther Bildirrici, Victoria Gindi, and Dylan Sutton, sophmores Sarah Levy (who earned a perfect score), Rosie Douck, and Virginia Dweck; and junior Raizy Cohen (who earned a perfect score). The Flatbush WordWright teams are supervised by Mrs. Shifra Hanon. “Creativity is contagious. Pass it on” said Albert Einstein. 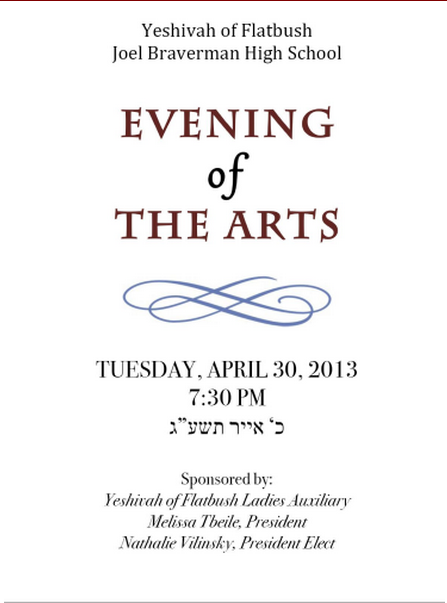 On Tuesday, April 30th the Yeshivah of Flatbush Joel Braverman High School did just that when it held its 3rd annual Evening of the Arts, coordinated by Mrs. Rachel Winkler. This mix of music, art, and drama was once again a huge success, showcasing the amazing talents of both our students and our Arts faculty. With a gallery of art and graphic design on display downstairs (organized by Jason Novetsky and Therese Berkowitz) and performances upstairs, all of Flatbush was awash in creativity; so much so, it would be impossible to name everyone. But just a few of the highlights of the evening were a duet by Michael Zalta and our own Rabbi Levy singing Exodus, the Chamber Choir singing In My Life, David Siller and Liba Hornstein performing a scene from Driving Miss Daisy, and the rousing finale, One Day More from "Les Misérables". In addition, Arts faculty members Sally Shatzkes, Brian Gelfand, Joel Hessel, Lilia Mauskop, Erika Shaposhnik, and Shelley Kaplowitz directed their students in their performances and/or performed themselves. Best of all, the audience was packed with family, friends, and Flatbush students, all of whom had a wonderful time! Special thanks to the Ladies Auxiliary for sponsoring the evening. Here's to next year, and another opportunity to see the terrific talent being nurtured in the Yeshivah! ~Written contributions by Ms. Shelly Kaplowitz. ~Videos edited by Victor Dweck. ~Compiled by Mr. David Galpert. Gilda's writing workshop is a place where writers from all over New York State come to discuss and write their own literature. 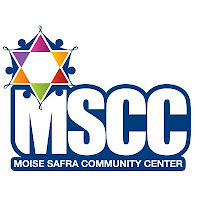 I, along with Helen Menashe, Steven Hakim, Mikey Shamah, Lital Nainshtein, and Cynthia Benun took part in this workshop. It was unbelievable meeting and interacting with fellow writers from across the state, and especially sharing our writings with them. Joining together with all the different students and having them read and critique our writing undoubtedly helped us improve as writers. We were given a complicated piece of writing, which allowed all of us to interpret it in various ways. Then we were given a prompt to write about, which helped us convey thoughts in our own special way. The experience was one that we all enjoyed, and one that we will definitely take with us in the future. Students took part in a special Yom Yerushalayim program today, where they heard about the importance of Yom Yerushalayim, commemorating the reunification of Jerusalem and the establishment of Israeli control over the Old City at the end of the Six Day War on the 28th of Iyar in June 1967. 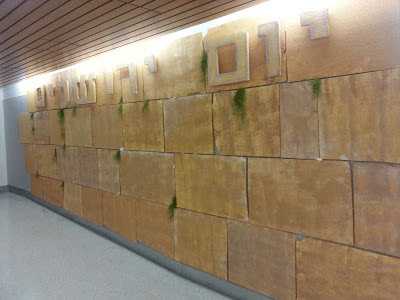 Flatbush Chessed Mission 2013 from Yehuda Kohn on Vimeo. Scores are in for the National Science League Contest! Yeshivah of Flatbush was proud to offer our students the opportunity to compete in the National Science League Contest. Students were offered the chance to take Biology, Chemistry, Earth Science, Environmental Science and Physics. The students received credit for taking the exams during their lunch periods. We are especially impressed with the students' achievements as evident in our highest scorers. Among the students who took Biology, Jack Mosseri (3-V) scored highest followed by Max Edeson (1-HN) in second place and Jeffrey Nussbaum (3-HR) in third place. In Chemistry our top scorer was Eileen Sutton (3-HR) with an almost perfect score, followed by Abraham Tawil (3-HR) in second place and Andrew Hersh (3-HR) in third place. Congratulations to all students who took the exams! Ms. Robinson's Wellness Tzei U'Lemad is an elective class that meets once a week for students who want to dedicate themselves to learning how to balance a healthy life both physically and mentally. We have had speakers come in to our meetings to speak about the dangers of the media, attended and hosted a series of yoga classes during finals, and concentrated on various forms of personal expression. This semester in particular we focused our efforts on our final group project: A Wellness Art Show. 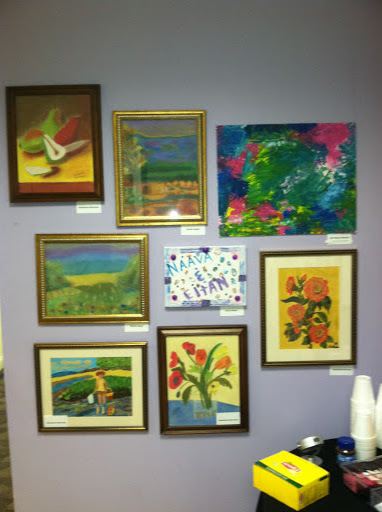 Our Art Show took place on Wednesday night, April 24th. The night showcased our girl's work as well as the cancer patients and families from The Sephardic Bikur Cholim Cancer Center. The theme of the show was Community and we aimed to bridge the two worlds of education and healing through the powerful tool of art. 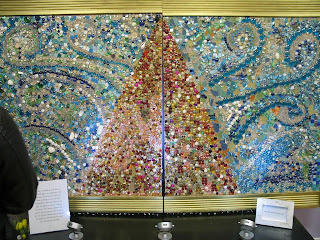 We also showcased a collaborative piece of art that we had been producing by both our students and The Center’s clients. 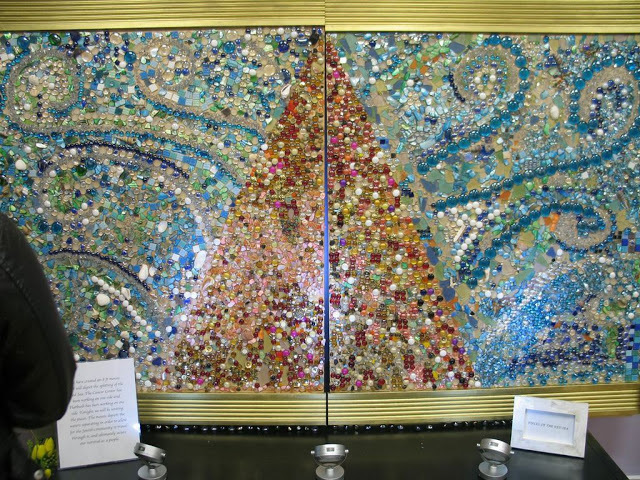 We created an 8 ft mosaic that depicts the splitting of the Red Sea. The Cancer Center had worked on one side of the split sea and the students of Yeshivah of Flatbush had been working on the other. Last night, we united the pieces for the first time. The mosaic depicts the waters separating in order to allow for the Jewish community to travel through it, and ultimately secure our survival as a people.